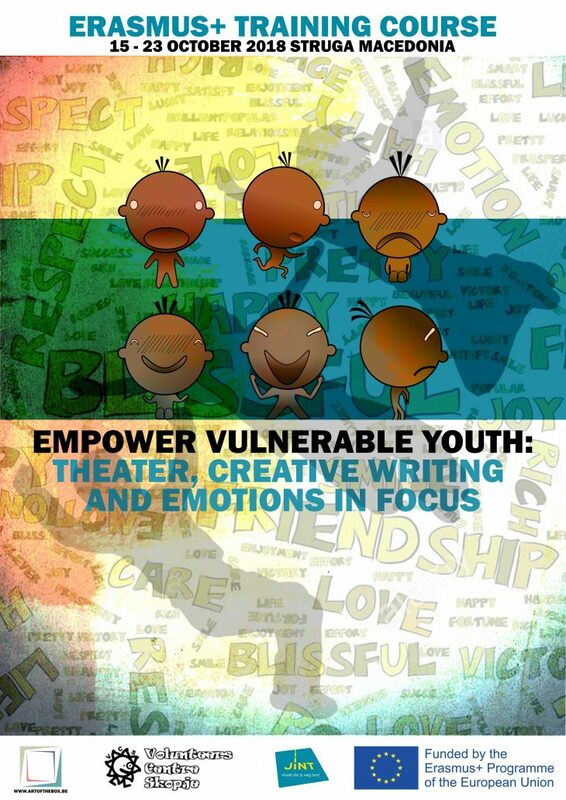 Empower Vulnerable Youth: Theater, Creative Writing and Emotions in Focus. 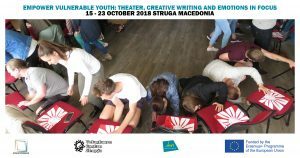 In the period between 15th October – 23rd October in Struga, Volunteers Centre Skopje together with Belgium partner Art of the Box are hosting Training Course “Empower Vulnerable Youth: Theater, Creative Writing and Emotions in Focus”. The project responds on the needs of organizations working with vulnerable youth. It means with young people at particular risk because they have additional challenges to overcome, fewer resources and supports. 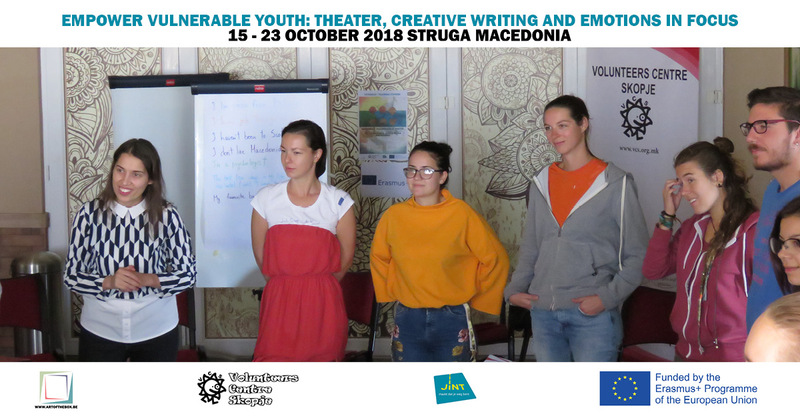 Besides impact on directly involved participants the project aims to increase quality of services of partner’s organizations; bring ideas for new local, national or intercultural projects as well as to raise awareness of public on situations of vulnerable youth. Methods and techniques used on TC are based on creative writing and theater that helps to focus on aspects such as managing strong emotions or raising self-esteem of youth. 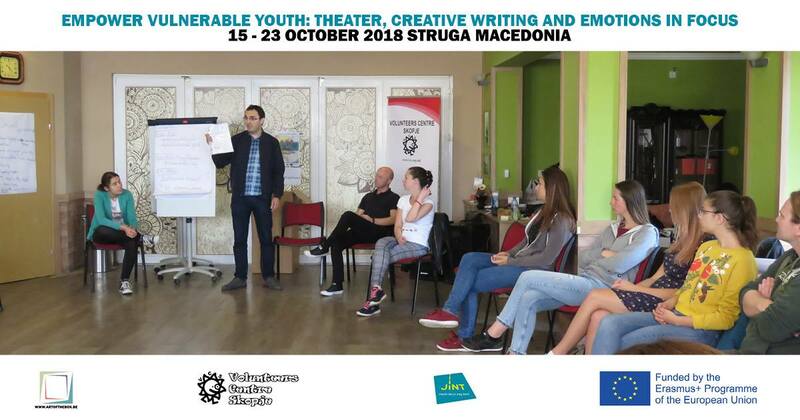 The project includes from two key activities: training course for youth workers working with vulnerable youth and youth exchange for young people belonging to vulnerable youth. Part of preparation for youth exchange will be also Advanced Planning Visit (APV). 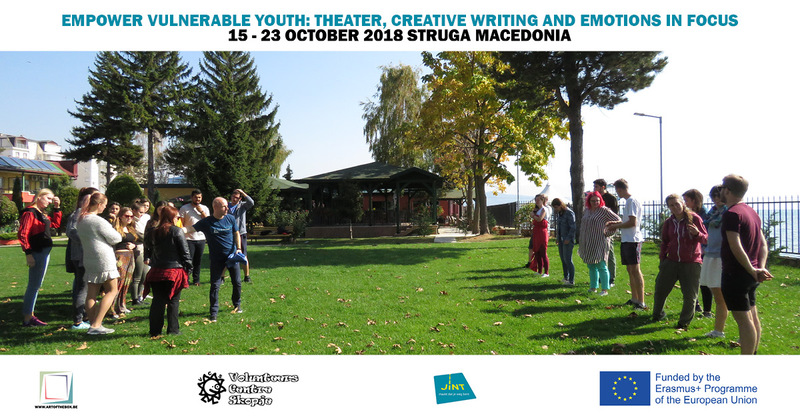 24 participants coming from Spain, Macedonia, Croatia, Latvia, Greece and Belgium are taking in the project. First day was about getting to know each other by interactive games and we had plenty of team building activities. It was also time to present objectives of project, make agreements; find out more about formal, informal or non formal education and Youthpass certificate that each participant receive at the end of activity. 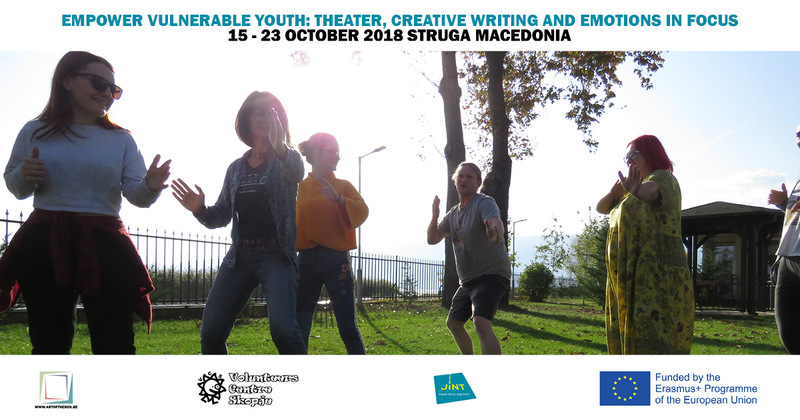 Partners on this project are Association Mundus from Spain, Media Terra nea from Greece, Talsu novada fonds from Latvia and Mladi za Marof from Croatia. 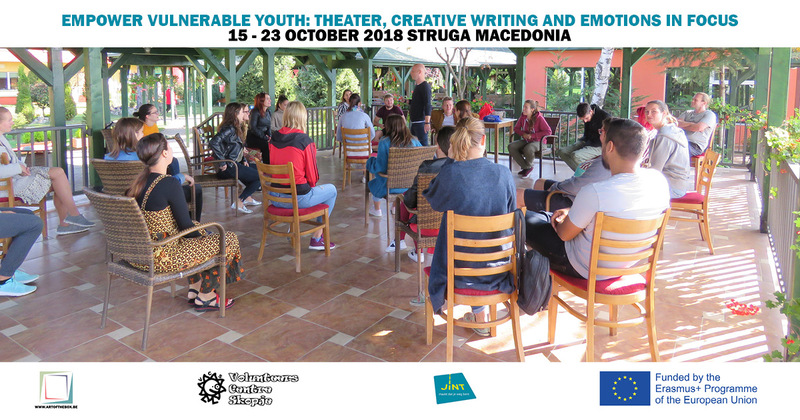 This project is funded by the Erasmus + program and the Belgian National Agency –JINT.